Inside the Ring with Floyd Mayweather, Jr.
Undefeated World Champion Boxer Floyd Mayweather, Jr. on his career, legacy, his upcoming bout with Andre Berto and future plans after boxing. In an interview on the FOX Business Network’s Making Money with Charles Payne, undefeated world champion boxer Floyd Mayweather, Jr. denied violating drug testing guidelines prior to his bout with Manny Pacquiao. 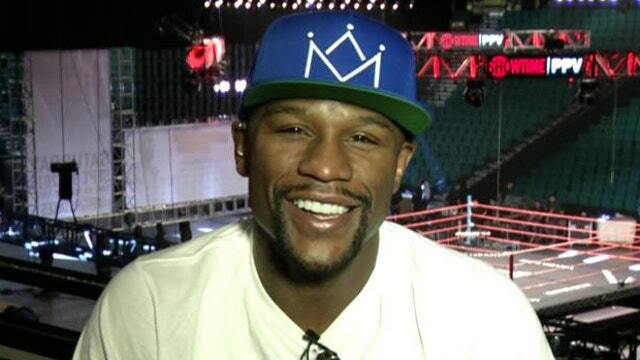 After his boxing career is over, Mayweather said he wants to continue to work on his brand. “We’re going to take one day at a time,” he said. “We have the Money Team Music Group. The Money Team website is doing well… $10 million a year and growing as of right now.